CONCLUDED! 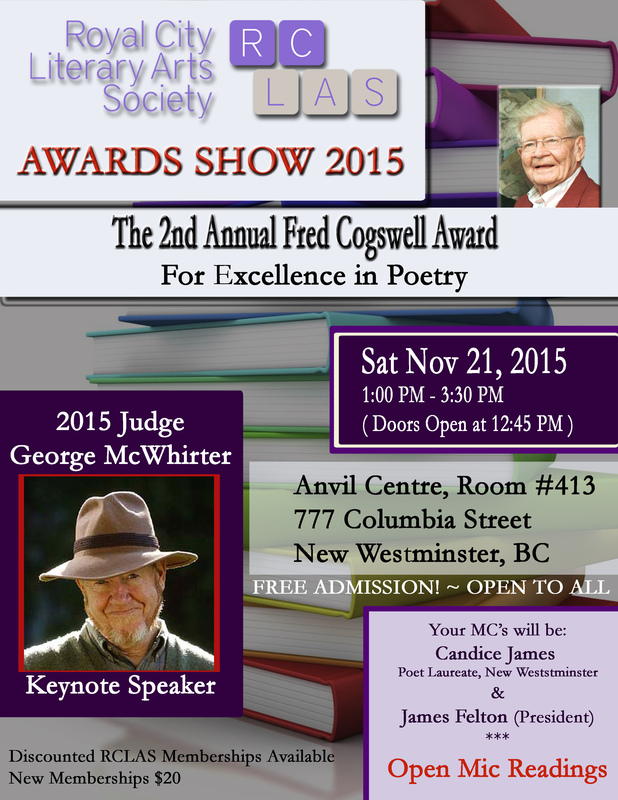 RCLAS Awards Show 2015: this Saturday at the Anvil Centre! Posted in Uncategorized, Image format on November 15, 2015 by rclasonline. Become an RCLAS member today! Click here and join the Lower Mainland’s fastest growing literary arts community! ISSN 2291- 4269, 43 pages. Our 2019 Write on! Contest info. Issue 62 contents include a Meet the Board featurette (watch for a Part 2) with poetry by Alan Hill, Carol Johnson and Janet Kvammen. RCLAS Contributing Members include Kathy Figueroa, Jerena Tobiasen, Jenny Ihaksi, and a Deborah L. Kelly & Stephen Karr collaboration. Upcoming events including a poetry workshops with Kevin Spenst and Alan Hill, In Their Words, Tellers of Short Tales with Sharon McInnes, and LITFEST NEW WEST news and more! 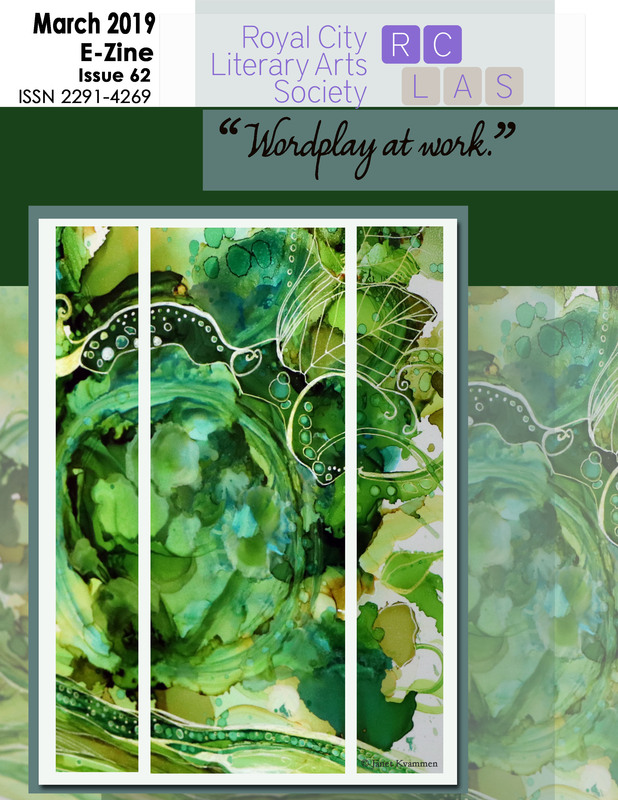 Click here to make a donation to Royal City Literary Arts Society!